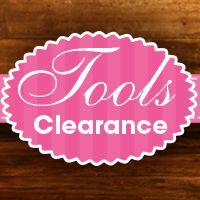 Save on discount craft tools at CraftDirect.com. Whether you are working with dies and folders or an electronic cutting machine, the right tools will help to ensure your project is not compromised. Some scrapbooking tools offer wide use and are great for facilitating many tasks, while others are used for very specific applications. Bone Folder - a bone folder is a tool that is used for burnishing, scoring, smoothing and creasing different types of material. 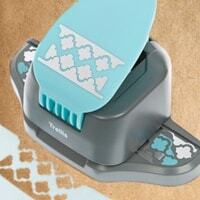 Its definitely a tool you want to keep on hand if you are into scrapbooking and making homemade cards. 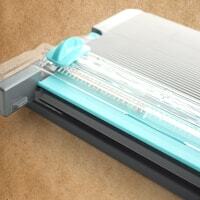 Scraper - have you ever cut Vinyl out on a die cutting machine before? If you have, you probably noticed just how hard it was to get the thin material off the sticky mat. A scraper not only can help you get thin material off your sticky mats, but it can also help you apply transfer paper to Vinyl artwork and apply Vinyl to various surfaces. It can also help you with so much more! It's a very useful tool to have on hand. Craft Scissors - scissors are designed to reach those tiny corners that regular scissors can't. These are pivotal paper craft tools, so make sure you get your hands on some. They are small, easy to use and are perfect for all your craft project needs. Tweezers - sometimes when you are creating a craft project you will need to pick up tiny items like stickers, vinyl, gems, etc. Tweezers are not only a great way to pick these items up, but they hold your items in place while you work with them. Tweezers are a great way to keep your hands from getting burned when pouring hot glue on craft items. Simply hold your item with the tweezers while applying the hot glue. Once you begin using tweezers for your craft projects, you will never use your hands to pick up tiny items ever again. Craft punches - corner punches, clear cut punches, and punch boards. Scissors and trimmers - cheap solutions for quick manual cutting. 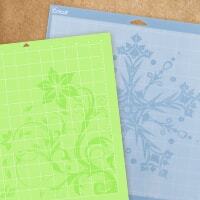 Cutting mats - try laser square mats or keep your machine up to date with fresh mats. Specialty tools - here are the solutions for crafters that need a special edge in their projects. You'll find lots of options here, ranging from practical to wildly innovative. 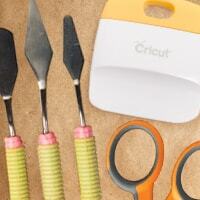 The truth is you can't create those beautiful scrapbooking projects without the right craft tools and accessories. Having high quality scrapbooking tools doesn't have to be expensive, as you can see from our large selection of discount options. Also, if you don't have steady hands, keep in mind there are some great tools are used to apply the material onto your project surface. Use scrapers with your vinyl for this sort of thing. 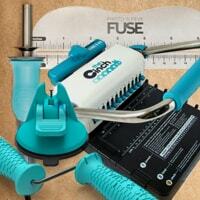 Check out our craft blog for creative ideas on how to use your tools.